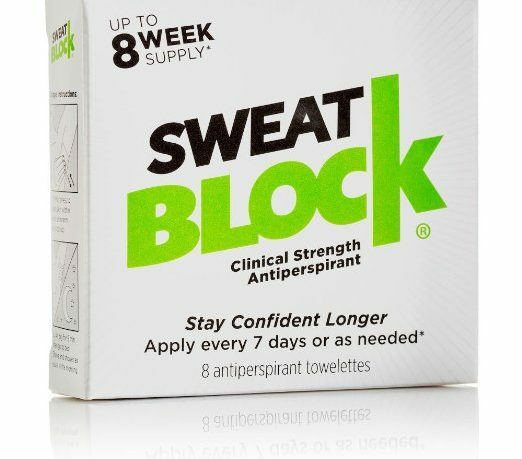 SweatBlock is one of the well known antiperspirants for treating hyperhidrosis and excessive underarm sweating, and claims to provide up to 7-days of sweat protection per use. 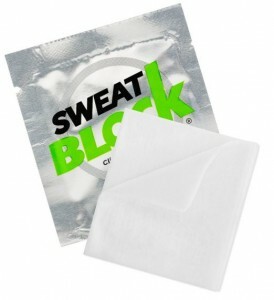 SweatBlock comes in a towelette format which is a bit unique as most other products are in the form of lotion, stick, roll on, powder or spray. The towelettes cost about $2.3 per count ($18.98 for a pack of 8) on Amazon US. 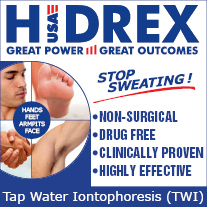 Its primarily targeted towards excessive underarm sweating. However, there are lot of anecdotal evidences that people have found it effective on other areas as well – including face and hands. The active ingredient in SweatBlock is Aluminium Chloride Hexahydrade (14%). It also contains other ingredients for preservation and the fragrance purposes. My initial impression of SweatBlock is – it works! Read below if you want to know more..
As I mentioned, SweatBlock comes in a pack of 8 towelettes, each individually wrapped. The packaging is well designed and its easy to open the packaging and get the towelette out even in the night (we'll come to that in a minute). I followed the directions to the T, and applied SweatBlock in the night. The product has a pleasant clover like smell and once its dry, you don't really feel much. The first night I applied, it did not have much of an impact the next day. So I did it again the next day and that's when it really took off. Its been 6 days since then, and my underarms have been dry for the first 5 of them, without applying any other antiperspirant for all of those 5 days. That is something that never happened. I have started to notice the sweat again since yesterday, so will apply the SweatBlock again tonight and hopefully it will work again. So, with my limited test period, I am pretty happy with the results and SweatBlock sure seems to be very effective for my excessive underarm sweating. It stopped sweat for 5 full days after the second application, and I did not notice any skin irritation or any other side effects. 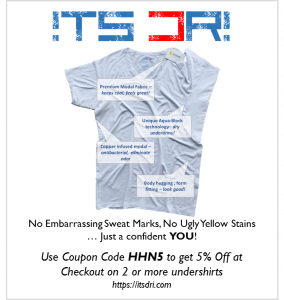 I will update this post again once I have had chance to use this product for a longer duration. 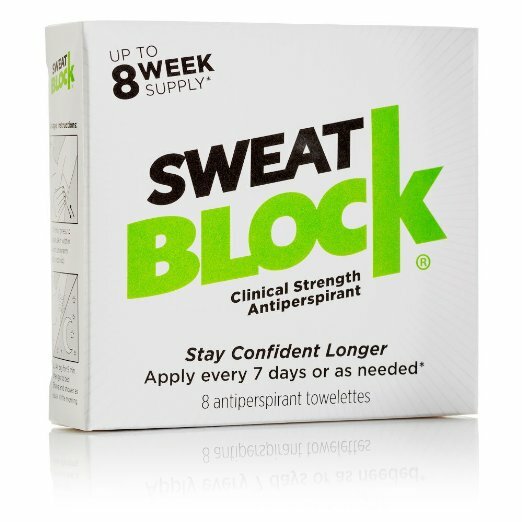 I have been using Sweatblock for about 3 months now, and am in a position to post a more detailed, long term review of the product. 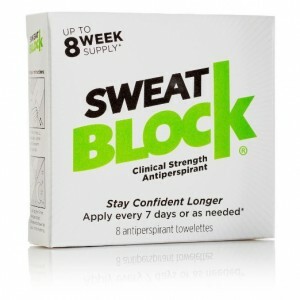 In a nutshell, I found Sweatblock to be extremely effective in managing the excessive underarm sweat. I had to apply it for 3 continuous nights to begin with in order to notice a drop in my underarm perspiration. That lasted for a week an it was awesome. However, the underarm sweat returned about a week and then I applied SweatBlock again. This time, a single application did it and I was again sweatfree for another week or so. Based on some anecdotes, I also applied SweatBlock on my palms in the hope that it will take care of the palmar hyperhidrosis as well. However, it does not work that well for my palms. There was no noticeable drop in the sweat on my palms even after continuous application for about 3 months. 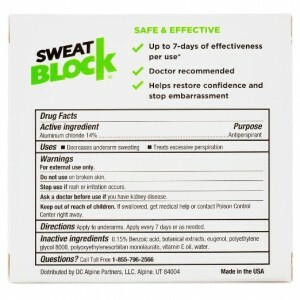 To be fair to the manufacturers, they never claimed that SweatBlock will help for sweaty palms. Anyways, here it is – the product is not expensive (about $19 for a pack of 8 that should last you about 1.5 months), and is easy to maintain given its only needed about once every week. If you suffer from severe underarm sweating, SweatBlock is one product you should definitely try.